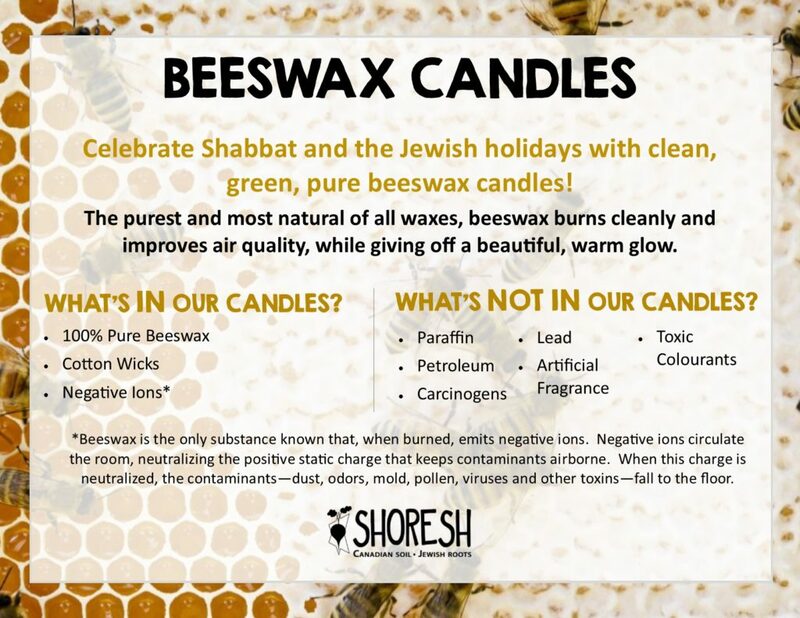 At Shoresh, we see our Pure Honey by Bela’s Bees and beeswax Shabbat and Chanukah candles as more than just products – they are the delicious and incredible result to our deep commitment to saving the bees through hands-on Jewish education and activism. 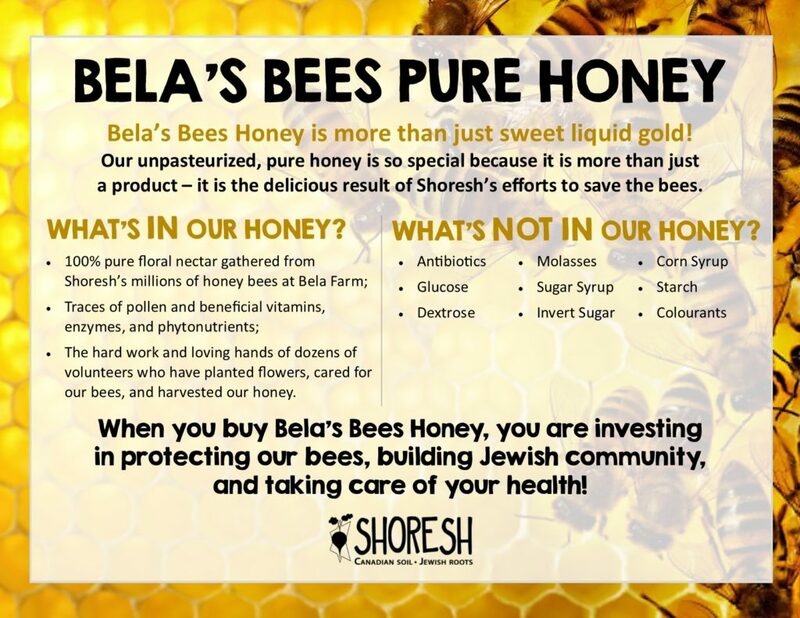 At Bela Farm, Shoresh’s rural centre for land-based Judaism,we are planting 20 acres of bee pasture to nurture and feed our bees. 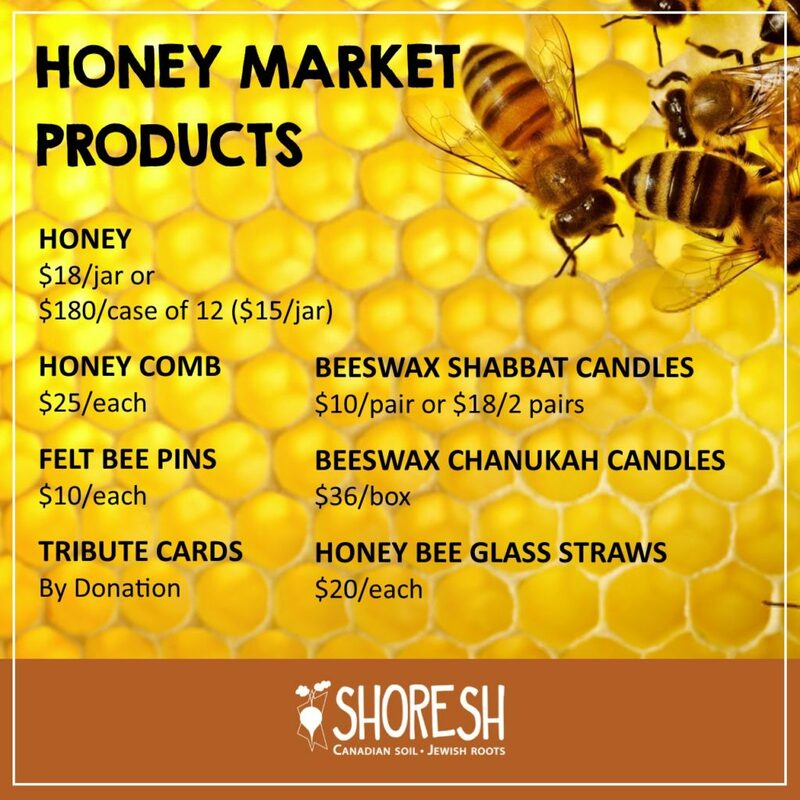 Our holistic approach to beekeeping targets bee health and habitat restoration, and results in happier, healthier bees…as well as delicious honey and beeswax candles! 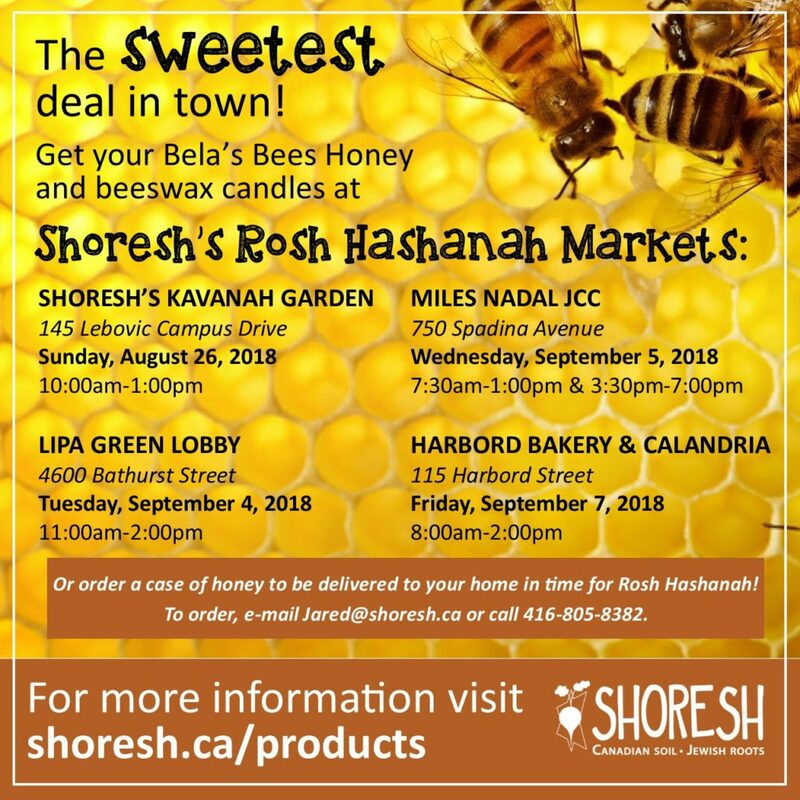 Join us for one of our Rosh Hashanah Markets this fall! 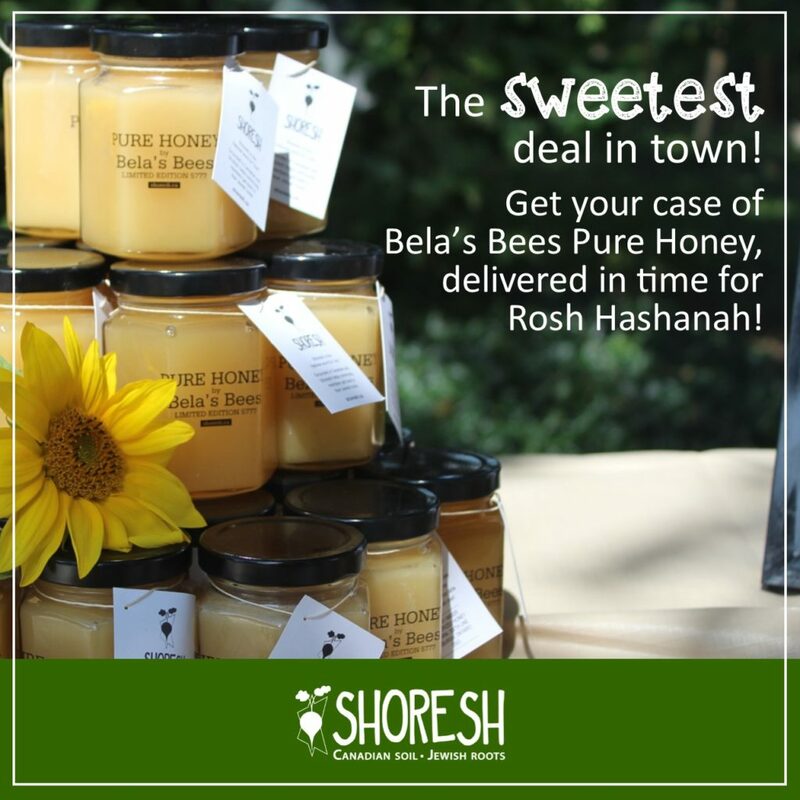 Or order a case of honey, to be delivered to your home just in time for Rosh Hashanah! For more information, e-mail Jared@shoresh.ca or call 416-805-8382.